Collectors envy someone who works in the toy industry for having what must be a dream job. Derryl DePriest was able to take his childhood love of G.I. Joe toys and turn it into a career. As Vice President of Global Brand Management of Hasbro, and previously at Midway Games, he has been in charge of many of the biggest names in the toy and game business, but it was Joe that got him into the business. And also into the Pop Culture Hall of Fame. When he was a kid, he had acquired about “75 to 100” G.I. Joes. “I didn’t come from a wealthy family by any means,” he said of the rather large collection. “Instead, I came from a family where we had a regular stand at a flea market, and my parents routinely bought and sold things on the weekends.” His two brothers were also obsessed with everything Joe. Continuing his lifetime fandom, DePriest is the author of “The Collectible G.I. Joe—An Official Guide To His Action-Packed World.” It’s widely considered THE deifnitive guide to vintage G.I. Joe and accessories. 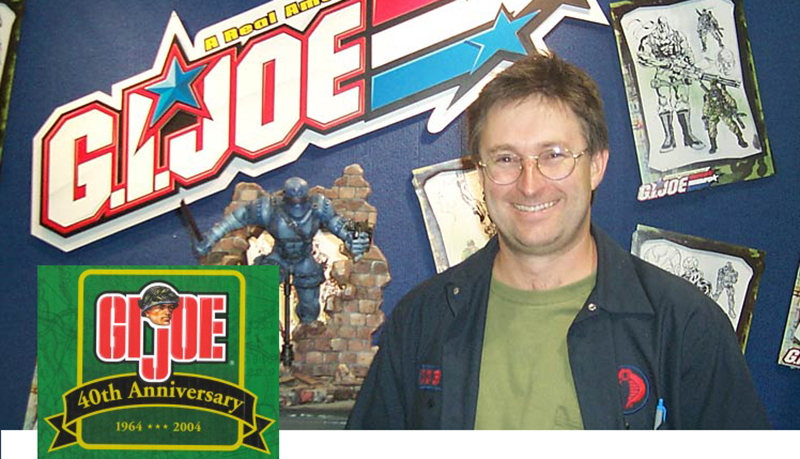 One of his early efforts was reviving the larger action figures for a 40th anniversary line in 2004. Hasbro produced a set of 24 figures in special retro packaging, and fans helped create outfits two more the Green Beret and Air Force Dress set. He is a regular attendee at JoeCon, the annual convention for fans of the brand, where he is regarded as a hero. As popular as the anniversary dolls were, they were more of a niche product for collectors, so they were the end of the line at the time for the brand. DePriest moved over to the “Star Wars” division of Hasbro, which shows no signs of slowing down.